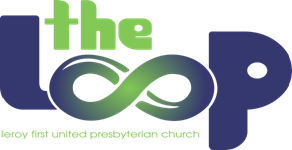 The LOOP is a preteen ministry for students in 5th-6th grade. The group meets each Wednesday, usually from 5:30 - 6:45 p.m. (Sept. - April). Students engage in discussions, crazy-fun games and competitions, Christian music, outings and much more! The pre-teen years are influential as youth are exposed to many new avenues in life. Some are positive, and some are not. It is our goal at The LOOP to provide a safe, encouraging place for the students to come and meet with their friends, enjoy snacks, fun-outrageous games and hear about God’s plan and purpose for their lives. The LOOP ministry includes a time of learning and small group discussions with their peers. COMING MEETINGS & ACTIVITIES: .